2. Combine all ingredients; slowly bring to boiling, stirring occasionally until sugar dissolves. Cook rapidly until thick, about 25 minutes. As mixture thickens, stir frequently to prevent sticking. 3. 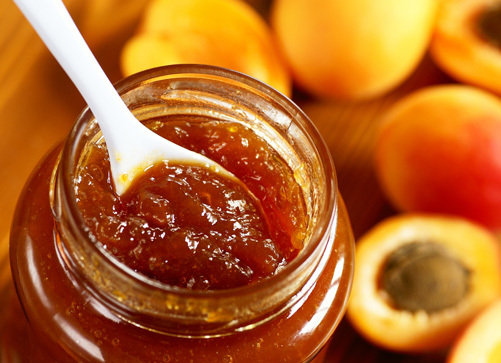 Remove from heat and fill hot jam into hot, sterile jars, leaving ¼ inch headspace. 4. Wipe rims of jars with a dampened clean paper towel; adjust two-piece metal canning lids. 5. Process jars immediately in a Boiling Water Canner according to the recommendations. Let cool, undisturbed, 12-24 hours and check for seals.